Tired of all the put-downs and negativity about our beautiful city? So are we! Detroit has a great history and an even greater future ahead. 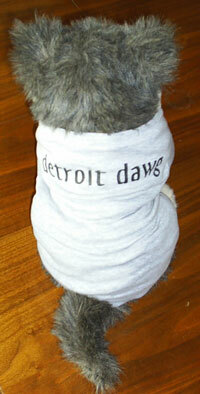 Show your pride in Detroit by proudly displaying one or more of our bumper stickers or gifts. Learn more about Detroit's history by buying our multimedia CD, Detroit Memories. Detroit is a wonderful place to live and work. Detroit Originals is run by Detroiters for Detroiters and those rooting for Detroit's continued redevelopment. All Content Copyright 2004 Have Your Say, LLC.